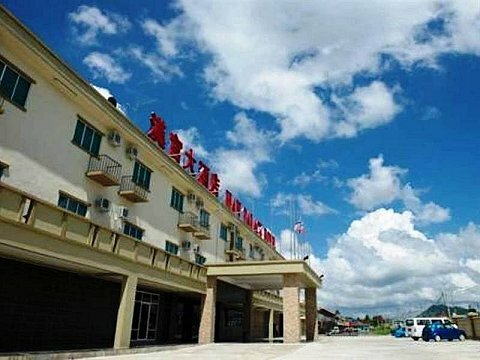 Han Palace Hotel is a comfortable medium range hotel located in Semporna. Han Palace hotel is a new hotel that has 144-suite rooms with A/C, Cable TV and Free Wifi. All the rooms are fully equipped with a complete range of conveniences that meet traveller’s demand and expectation, whether it on business or on Mabul and Sipadan holiday. Room types are Standard, Superior , Junior Suite and Executive Suite. With its strategic location easily accessible by the main road, The Han Palace Hotel Semporna is committed to ensuring your meetings and corporate events are an unparalleled success. The meeting room are well appointed with Wi-Fi and technical support. And if you need refreshments or even full service catering, the hotel can arrange that. In addition, the modern yet homely accommodation, delectable flavours of F&B outlets and sensibility spa, makes this hotel an excellent location for both meetings and corporate events. Situated at the Ground Floor of the hotel, the meeting room (capacity 100 pax) offers more discreet and private meeting space. It also has a direct access from the lobby and the car park.